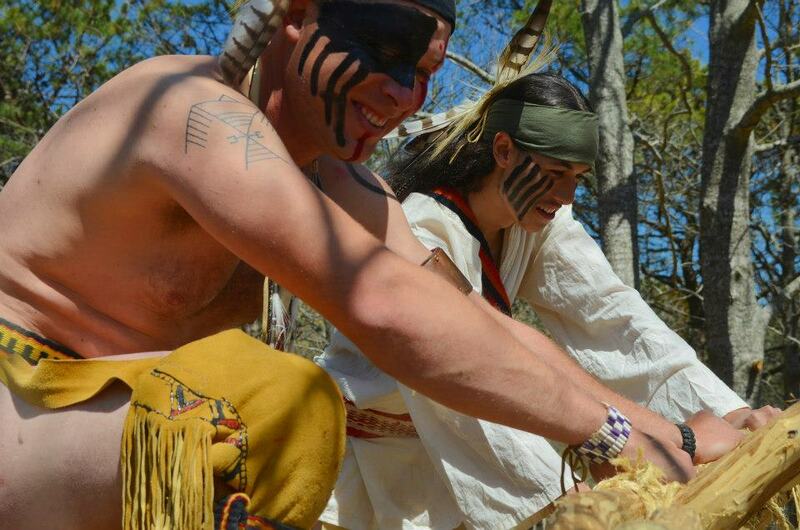 Established in 2001 as the only Native American owned and operated nongovernmental, not for profit, Native American owned and operated organization on Long Island dedicated to honoring the Ancestors and living history as Algonquin descendants. We exhibit Shinnecock history spanning over the 10,00 years our people have inhabited this area now called Long Island. Built from Adirondack white pine, our facilities contains 5,000 square feet of exhibition space. Our Museum has recently added some new cultural material items to our permanent display. Originally on display at the Southampton Historical Museum in 2011, for their exhibition, 10,000 Years of Hunting and Fishing on Long Island, these items that help illustrate the different time periods of Shinnecock history: Paleolithic, Archaic, Woodland and Historic periods for their exhibition. Our Museum has now acquired these items for our main exhibit – A Walk with the People. The mission of the Shinnecock Cultural Center & Museum (opened in 2001) is to promote awareness, understanding and an appreciation of Shinnecock history and culture.